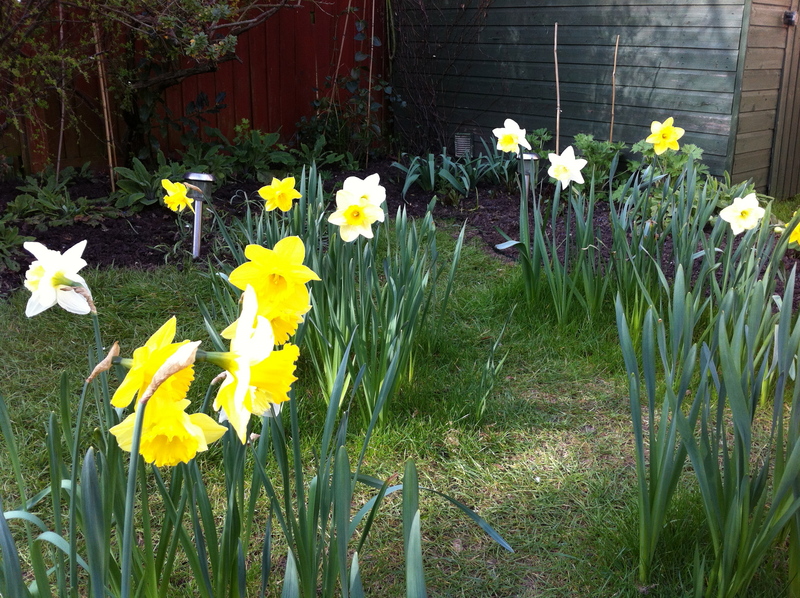 This is the third year we’ve had daffodils in the lawn. The first year they were amazing, the second year was abysmal with virtually all of them coming up blind and this year, they have been good again. Right now, the lawn is dotted with bright spots of yellow, orange and white (we have mixed bulbs) and there have been enough to cut and bring inside. They really do look lovely and give much more cheeriness to a featureless area of patchy grass. It does mean that walking across the lawn for six months of the year is not easy and you have to be careful about where to step lest you flatten a poor daffodil. I will make sure that I am very diligent with feeding and watering them as they go over so they will hopefully put on a good show next year too.